Our Range of Cabac professional pliers simply have to be used to be understood. Until you do, it's literally impossible to describe to you how amazing these tools actually are!!! Fact 2: Vanadium is the 20th most abundant element in earth‘s crust. The pure form of Vanadium is difficult to obtain but its compounds are present in over 65 different minerals. See our complete range of tools for more riveting facts! 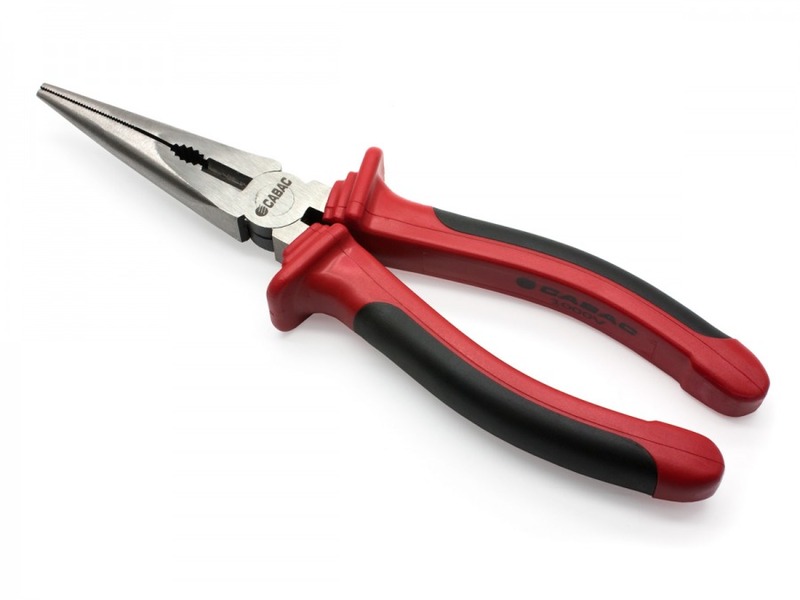 These drop forged vanadium steel pliers are a large 205mm in length (a smallet 150mm pair of pliers is available here), ideal for more robust applications. They're certified to safely handle 1000V and therefore are a must for any electrician. Arrived the next business day. Very happy, works well.